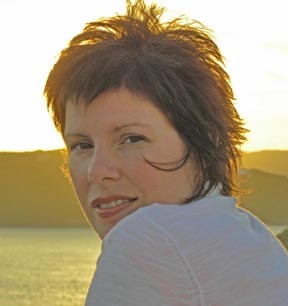 Gisele LeBlanc is a children’s writer and publisher from Canada. 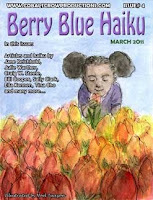 Her ezine, Berry Blue Haiku, is her latest venture. Gisele is the former publisher of Dragonfly Spirit. Hi, Gisele! Thanks for joining us today. Tell us about Berry Blue Haiku. What is it and when did it begin? The idea for Berry Blue Haiku came at a slow simmer, you could say. 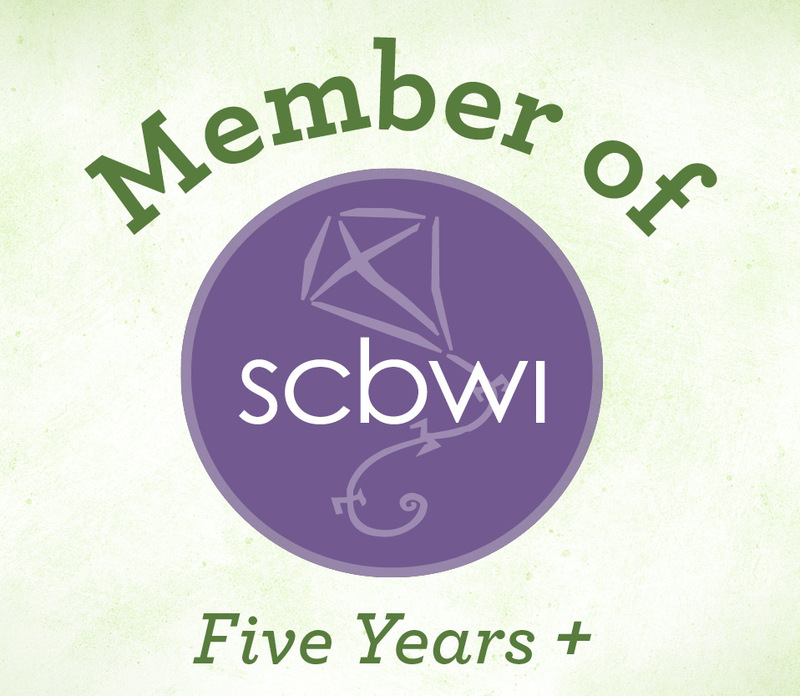 The seed got planted when I was still publishing my first online magazine for children, Dragonfly Spirit. We had published a couple of haiku (by Michelle Lord) and I remember being very drawn to the form. In 2009, I started writing haiku and studying it more seriously, started reading haiku books and online journals, and I became totally captivated. In 2010 I decided I would like to start a poetry magazine for kids and realized there were no haiku magazines devoted to kids. That's when the idea came to fruition. Who is the audience for BBH? Our intended audience is children up to age 13, as well as teachers/parents who have an interest in teaching haiku. But the magazine has proved to hold global appeal and is enjoyed by people of all ages. What kind of response have you gotten to BBH? The response has been quite positive! Despite its short form, there is so much to learn about haiku. This is why our goal with BBH has always been to help broaden people's haiku awareness and hopefully entice them to experiment with the form. What interests you about haiku? Where to begin! There is so much to love about haiku. Firstly, it can be used as a meditative tool since it teaches us to slow down and see the beauty in simple things. Haiku is also about sharing experiences, and it reminds us that we are all one. It can also be used as a therapeutic or journaling tool to express emotions or to capture everyday moments. Its short form is also perfect for honing writing skills, since strong and specific word usage is essential. Is the standard form--5, 7, 5 syllables--still used? From my understanding, most traditional Japanese haiku (which tends to focus on nature elements) still follows the format of 5-7-5 sound units (called on or kana in Japanese). But Japanese sound units are not counted the same way as English syllables. Therein lies the misconception of this so-called "rule." Many North American poets and translators agree that something in the proximity of 11 English syllables is a close equivalent to the 17 phonetic units used in Japanese haiku. This doesn't mean that haiku written in 5-7-5 shouldn't be done, or that it is wrong—there are many wonderful haiku published in the 5-7-5 form—but writing a haiku this way, without employing needless words, is a challenging task. Berry Blue Haiku is undergoing some changes. Tell us about them. The March issue of Berry Blue Haiku was the last we will be publishing in this format. To alleviate costs and the level of work involved, we're considering publishing BBH as an annual anthology. We have also made all issues, current and past, available for free. These can be accessed through our CurrClick homepage. All teaching resources, such as articles, crafts, and lessons, will be available for free through our blog or website (which is currently under construction), where we will also be featuring interviews and contests. Sounds like a great new direction for BBH. Congratulations, Gisele, and good luck! Thank you, Jody, for inviting us to your blog! We are very happy to have had this chance to share information about Berry Blue Haiku! Update May 5, 2011: Readers, I just received this email from Gisele about the future of Berry Blue Haiku. You can read it here.